I listen to all types of music daily. You can catch me listening to jazz one minute and then punk rock the next, followed by some country, and topped off with swing. But, truth be told, pop music is my favorite. Rocking power-pop that is crunchy and sunny, has both musical and lyrical chops, and isn't afraid to dive right into something and go from there. So, when The Messyheads came across my desk, I was pleasantly surprised. There doesn't seem to be a lot of great power-pop bands out there right now. They've all crossed over into modern rock to get the mainstream's attention. But, The Messyheads seem to be in it for the music. If not, they're very good at deception. 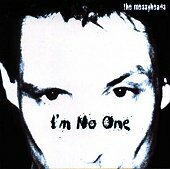 At any rate, this three song CD single for "I'm No One," is a punchy pop collection that demonstrates this is a band who has a lot of possibilities in 2000. "I'm No One" is a bouncy, rocking power-pop song charged with attitude. The hooks go flying as the band reels you in with a steady rhythm section and a guitar that jumps between roar and swirling hooks. "Stuck in a Place" finds the band settling down and delivering a soothing pop treat, while "All the Things She Said" mixes the wild rock attitude of Iggy Pop with Beatles pop freshness and a bit of The Only Ones streaming through the song, too. If you're looking for a good pop band, The Messyheads are one you should check out. Though I'm not a fan of three song CD's (they get too old too fast), the songs on here are great and will help work this CD into my pleasure rotation a bit more than other three song CD's. One thing is for sure though, after listening to this album, I can't wait for a full-length. I'll give it a B.